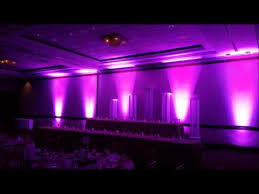 LIGHT UP YOUR EVENT WITH OUR UPLIGHTING! 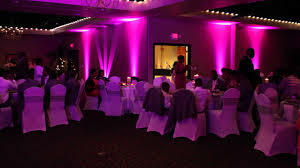 Uplighting can create a WOW from the moment your guests arrive! 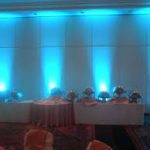 Uplighting is an investment for your event/wedding. Is it going to make or break your event/wedding? No, of course not. 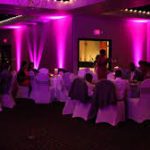 You can add uplights throughout your event/reception room, under a sweetheart table, or behind the cake table. Light up those plain walls. We have several colors to choose from to get the right effect. 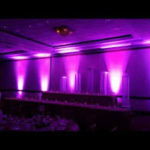 If you have a room diagram, or room blueprint from you venue, we can give you an estimate of how many up-lights we recommend. Chances are, we’ve been to your location before and already know. We can determine from looking at images online, or photos you’ve taken. 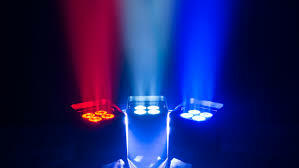 We are happy to visit your location to determine how many lights are needed. 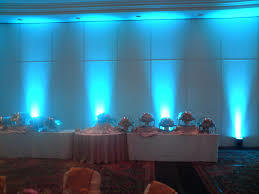 Our up-lighting service is only for customers that are using MWE as their entertainment for their event. Uplighting is subject to availability.